You are frustrated by the fact that you train for so long and not visible? To pour blood and sweat workout, you experience pain and still nothing? Maybe it's time to change it at last? Modern post-training formula contained in the IRON RECOVER will make your muscles, destroyed during heavy training rebuild much bigger and stronger! 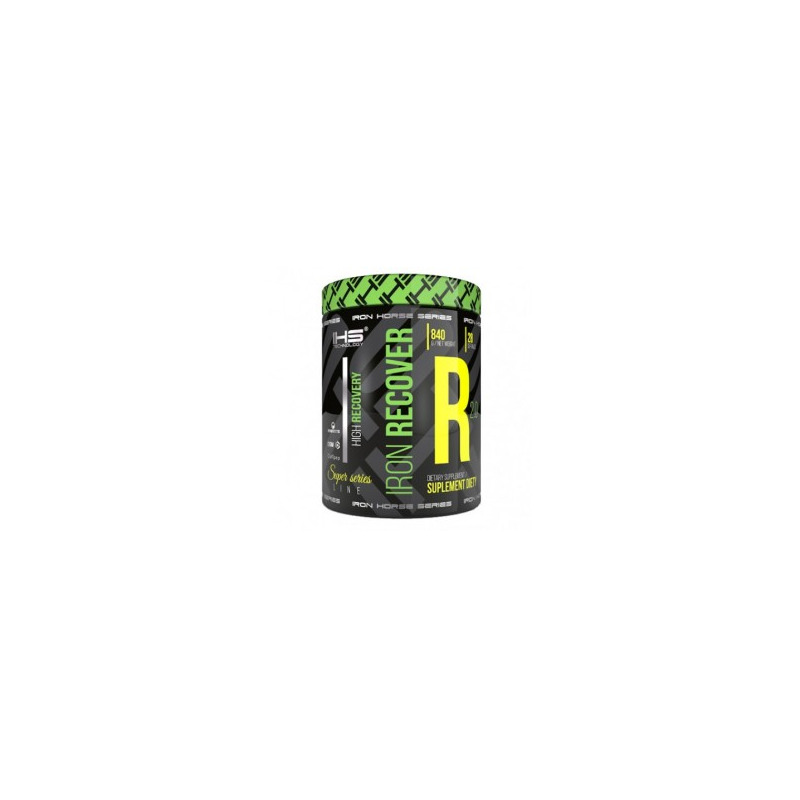 IRON RECOVER was created with a group of scientists and specialists from the Iron Horse Series with world champion in bodybuilding - Lukasz Kazmierczak headed! The combination of theory and practice gave amazing results! 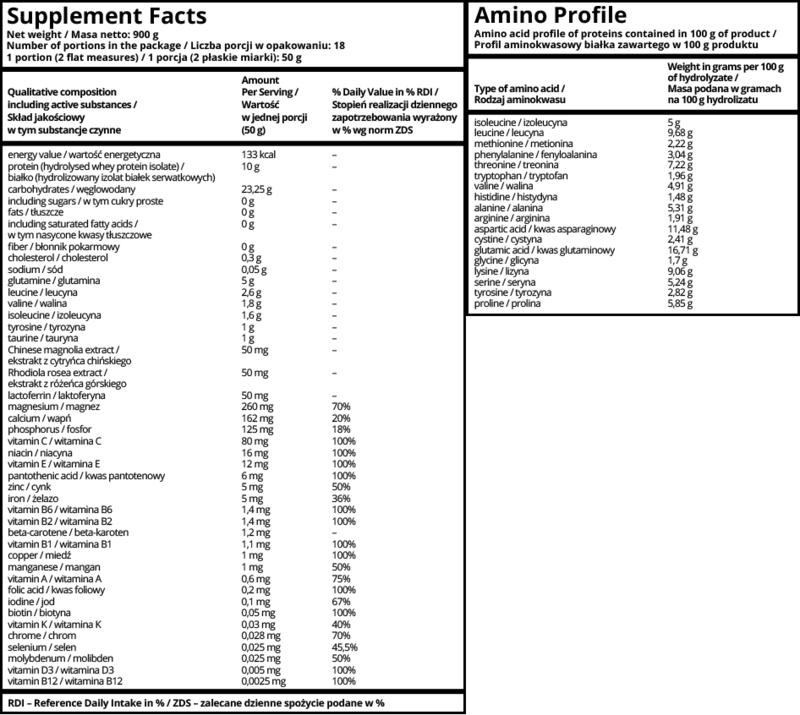 Supplement was developed by trial and error - months of research, testing and constant changes in the composition brought the long-awaited results! Iron Recover is a true definition of the word REGENERATION. Just one serving of this product provides to our body all the macronutrients that are responsible for creating the ideal environment for the growth and regeneration of our muscles! 10g of whey protein hydrolyzate, which is the fastest digesting protein combined with 8g BCAA catabolism will not destroy your muscles! 23g of carbohydrates (including 0 g sugar!) Best quality supplement glycogen leached out of your muscles during intense exercise! After intense exercise our body is unable to digest food, so created IRON RECOVER - Supplement "digested" laboratory, which immediately passes through the stomach and your body does not need to waste energy on digestion, and thus the most important macronutrients are provided immediately after training so that as soon as you go from a catabolic to anabolic! In addition to the complex of essential vitamins and minerals IRON RECOVER also contains extracts of Rhodiola rosea and Chinese magnolia that will allow you to calm down and de-stress after a hard workout! IHS experts added to the product as lactoferrin, which is designed to protect you against diseases and viruses in the post-training period or at a time when your resistance drops significantly and are most susceptible to infection! 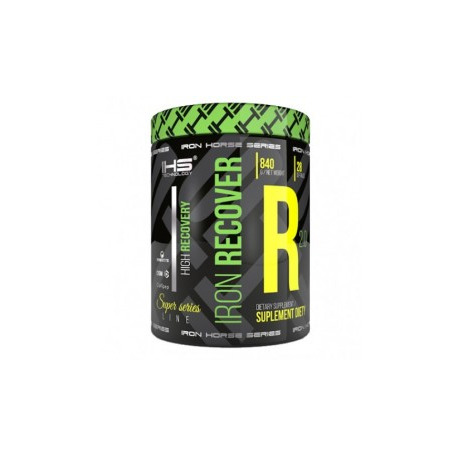 IRON RECOVER is the most complete post-workout supplement that meets every need of your body after a hard workout!